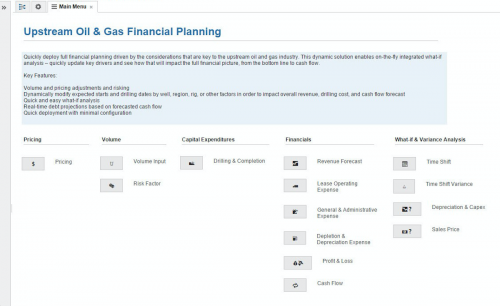 Quickly deploy full financial planning driven by the considerations that are key to the upstream oil and gas industry. 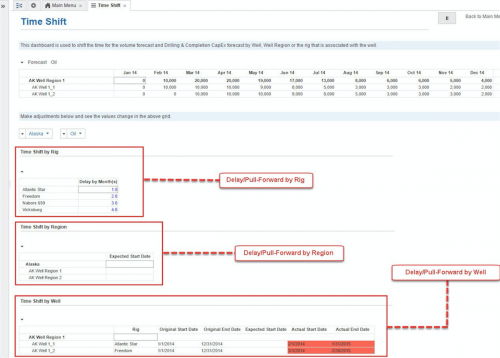 This dynamic solution enables on-the-fly integrated what-if analysis – quickly update key drivers and see how that will impact the full financial picture, from the bottom line to cash flow. Akili has forged a partnership with Anaplan combining our 20+ years of line of business (LOB) software delivery expertise with Anaplan's re-architected cloud-based enterprise business modeling and planning technology platform for operations, finance, and sales. This joint effort marries Anaplan's cloud modeling environment that recalculates massive business models at spreadsheet-like speed, with Akili's LOB implementation delivery services for business transformation including complex integration modules, data warehouses and business intelligence applications. The resulting combination of consulting services and technology tools enables our joint clients to complete like never before.